Block Editor (former Gutenberg plugin) has proven to be a very divisive feature that is now merged into the WordPress core and getting ready for version 5.0. For some types of websites, Block Editor is a great enhancement, but, for a lot of other purposes, Block Editor is unnecessary or even a big problem to use. If you depend on the features and plugins that integrate and work with (now) Classic Editor (TinyMCE), Block Editor will cause a lot of issues. 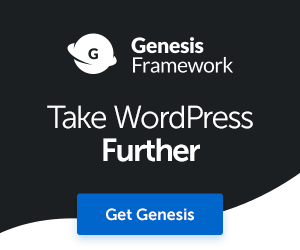 So, how can you disable Block Editor in WordPress 5.0? There are a few methods. This is plugin developed by Andrew Ozz, and it works with both Gutenberg plugin and the WordPress 5.0. This is plugin developed by Jeff Starr, and it works with both Gutenberg plugin and the WordPress 5.0. But, this plugin offers more options, including the ability to disable Block Editor for selected post types and selected posts. The previous code example can be placed in the simple PHP only MU plugin, and uploaded to the WordPress installation mu-plugins directory located in the wp-content directory – /wp-content/mu-plugins/. You can download functional mu-plugins here. You should use only one of these. To install, download the ZIP file, and unpack the file inside into wp-content/mu-plugins directory. If this directory doesn’t exist, create it. No modifications needed, just unpack into the mu-plugins directory. Unpack into the mu-plugins directory. As the previous code example, modify it to change post types to disable block editor for, on line 27 in the file. As you can see, disabling Block Editor is easy, and you can do it selectively if needed, or completely. This way, you can continue to use the latest WordPress versions, and make your own choice on which editor you prefer to use. Let me know which editor for WordPress do you prefer? I just hate this editor. I’m still thinking why such disgusting idea (of Gutenberg Block Editor) is integrated in wordpress? Simply boring & sickening. Thank you for posting, I was able to fix everything. YES, you are THE man ! I used the filter code option (first one) and stored it in the functions.php of the theme. Thank you so much. Block Code editor has been making it difficult for me to work with Visual composer. I installed Classic Editor and the whole thing started working. Thanks for your post. Thank you for posting. Installed and much happier. Thank you. Thank you so much!! My theme was wrecked and I had no idea how to use that new editor and no time to figure it out. Why change what wasn’t broken?? Thanks for helping me get what I needed to get done today! I want to disable it just for a page. It uses common template PHP file. Hi, Disable Gutenberg plugin has options for selective disabling of Gutenberg. Or you can modify my example code to use conditional check for page ID instead of the post type. Thank you for this! I have used it on many sites so far, but have encountered an issue when a website is using the Types plugin. I was using the disable completely version of this function and when the site had Types installed, there were glitches with updating a post (regular, not custom post type), changing post date, updating Yoast settings. I have narrowed it down to being a conflict with Types, as I have used this on multiple sites and tested with each plugin. Any ideas on how to get around this? Sorry, I have never used Types plugin. But, my code to disable Gutenberg is simple and straightforward, so most likely Types detects the version of WordPress to do somethings differently, regardless of Gutenberg being active or not.